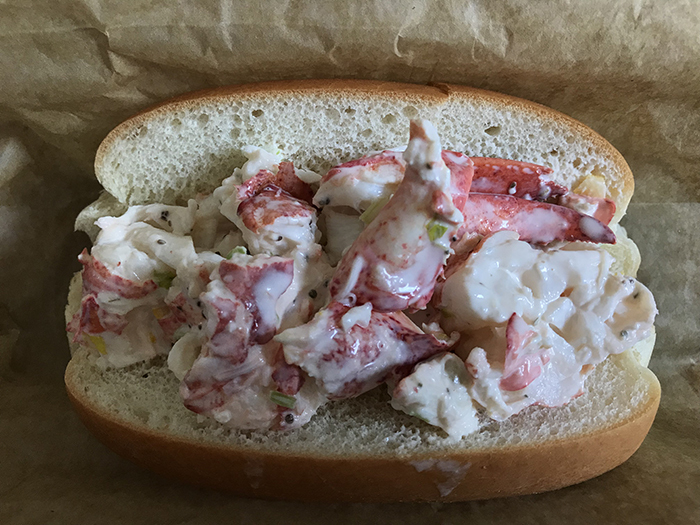 I’ve been on a lobster kick lately and love nothing more than scoring a deal on it. 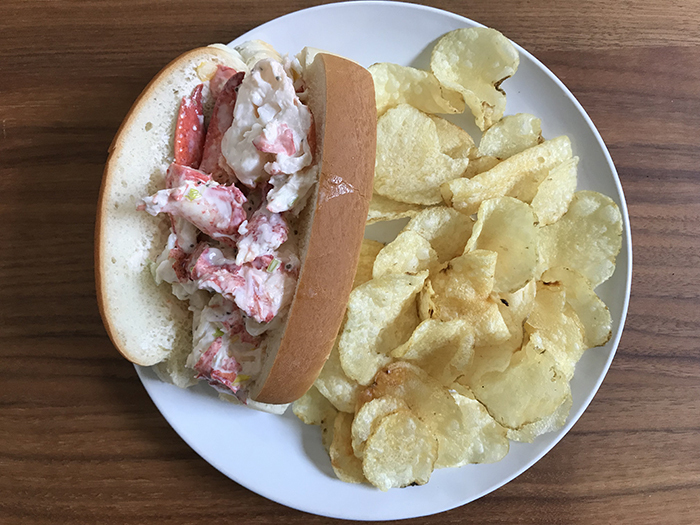 Last week, it was the South End Harris Teeter’s $12 lobster dinner. 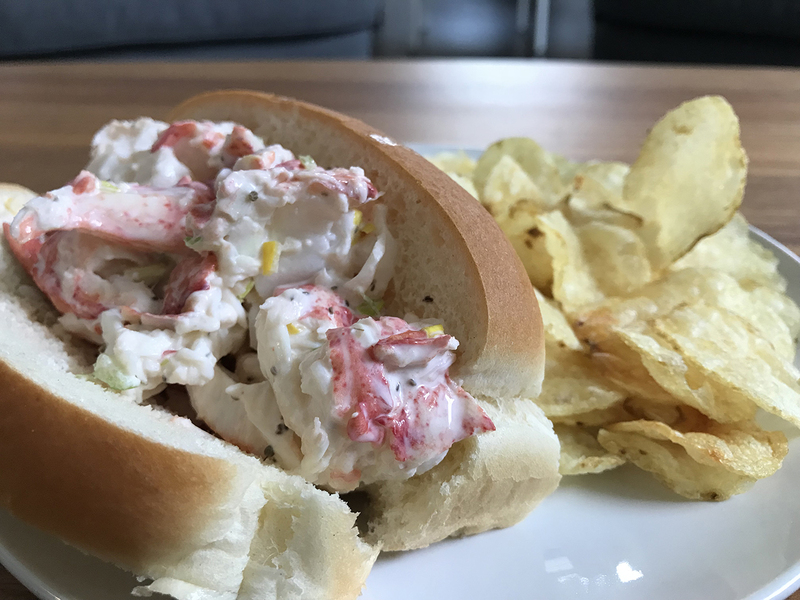 This week, it’s Carolina Meat & Fish Co.’s Lobster Roll Friday. 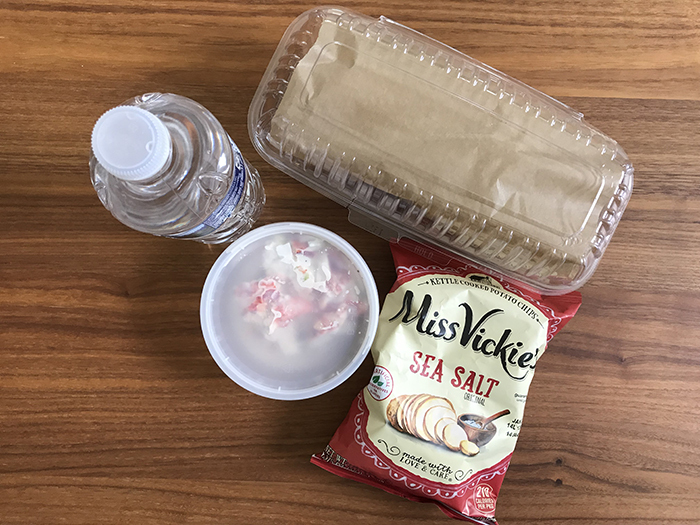 The lobster salad’s celery and mayonnaise-based recipe, created by Charlotte Fashion Plate‘s Melissa Latin, goes fast every Friday. 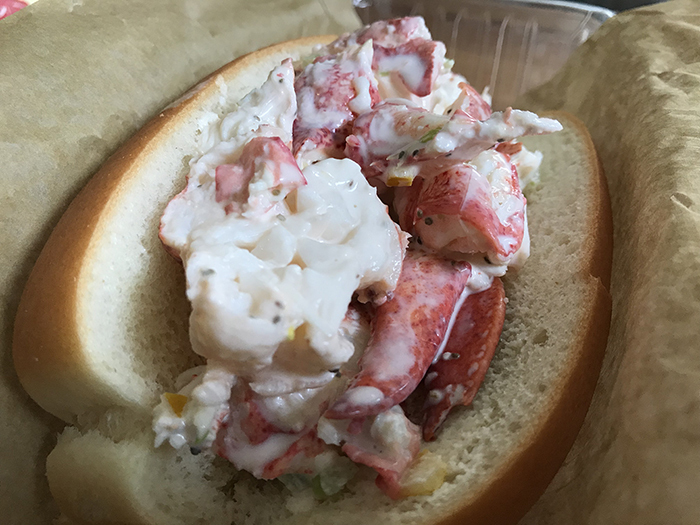 The Ballantyne fish market receives a shipment of fresh lobster straight from Maine every week and sets aside anywhere from 20-24 pounds of it for Lobster Roll Friday – but even that’s not enough, as “they move about 60 and are sold out by 11:30 a.m. every Friday,” Latin told me. There are three ways to get your hands on one: Over the phone, online or in-store (but don’t be the person that shows up thinking you can still get one. It’s best to order by phone or online). 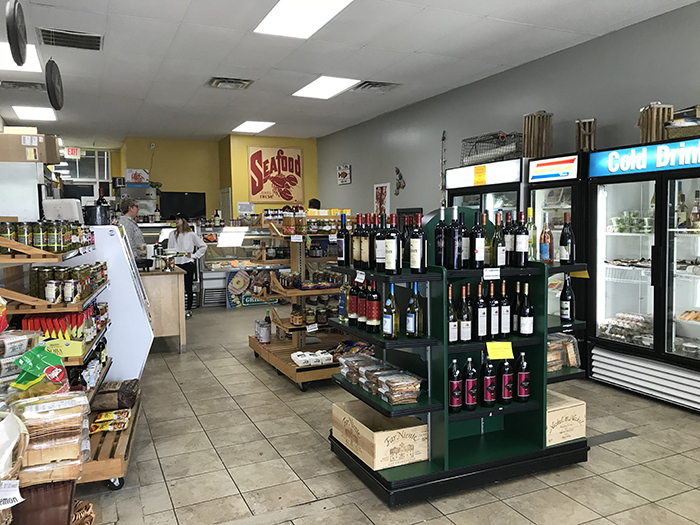 Sure enough, when I called at 10:45 a.m. on Friday morning to make sure the deal was still offered despite last week’s Noreaster, Latin told me that just 3 rolls were still up for grabs. I jumped on it, and then made the trek to find out just what’s going on. 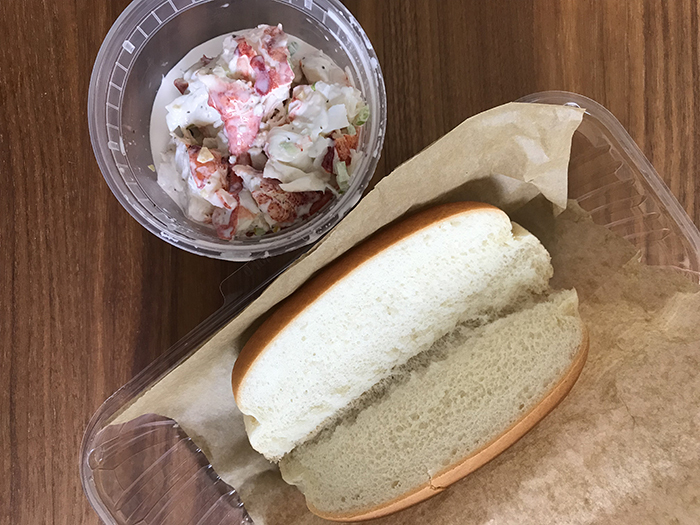 For $17.99, meals include a deconstructed lobster roll with about 1/3 pound of meat and sliced brioche to put it on, chips and a water. Yes, it’s up to you to build your sandwich (this ensures quality for customers coming from as far as Uptown, Latin explained). Mine was gone in about the same amount of time it took me to build it – 2 minutes, give or take. Follow the event page on Facebook for updates, including shipment delays and weather updates from Maine. 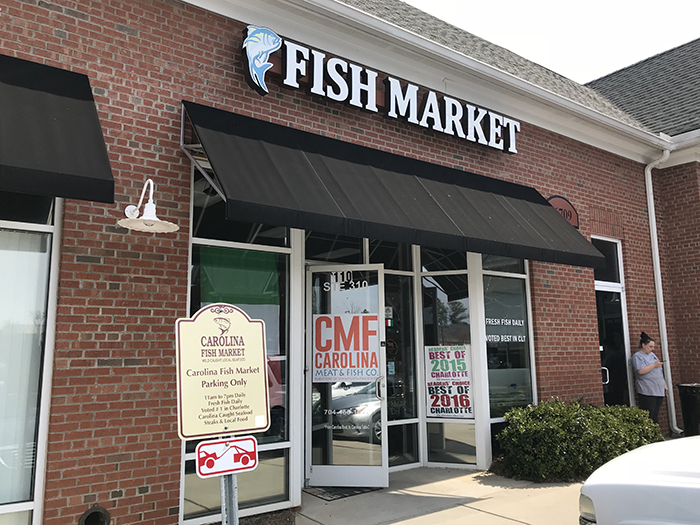 You can find Carolina Meat & Fish Co. at 16709 Orchard Stone Run and on Facebook, Twitter and Instagram.